Nokia is taking the principle of "united we stand" to the Internet of Things with a platform that can harness systems from multiple vendors for network-wide security. The company's NetGuard Security Management Center is designed to monitor and control all the security components on a network. This will help carriers and other IoT service providers take a more holistic approach to preventing and responding to attacks. Nokia will sell it to users of any brand of network. The company, once heavily invested in handsets, is now overwhelmingly a mobile infrastructure maker and is in the process of taking over network equipment vendor Alcatel-Lucent. NetGuard is a security product, mostly software, that's separate from Nokia's underlying infrastructure offering. It will be demonstrated at Mobile World Congress in Barcelona this month and is expected to ship later this year. Concern about security is one of the biggest hurdles to IoT deployments. The prospect of having thousands of connected devices spread around factories, hospitals or highways makes some IT administrators worry about attacks that could spread throughout a network. 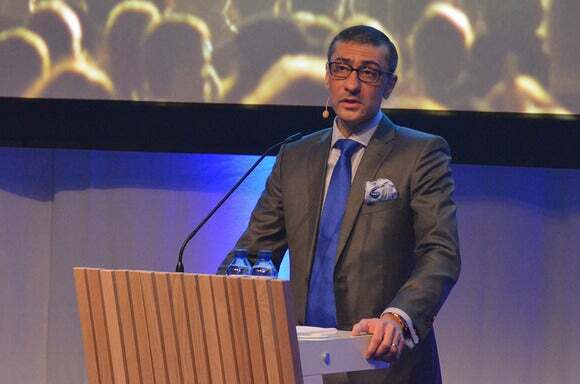 Nokia says a system that looks at the whole network brings greater security than point products that protect individual elements, such as radio access, transport and the network core. The NetGuard platform monitors all IoT devices, analyzes activity using a malware database from F-Secure, draws correlations between events in different parts of the network, and can set security parameters to minimize the chance of successful attacks. There's a decision-making engine in the system that can automatically configure security settings and decide how to respond to threats. Alternatively, administrators can just monitor all network security information on a unified NetGuard dashboard and make changes manually. NetGuard is a new product that builds on the concept behind Nokia's Mobile Guard system for securing mobile phones. It's intended for any large organization that's operating an IoT application, collecting the data from IoT end nodes, or building the connectivity for an IoT network. This may be enterprises in some cases but it's often carriers or specialized service providers.